An invitation to travel, around the Mediterranean, in the world of gardens: the creations will reflect the richness and diversity of the Mediterranean territories and will reveal a part of the coast along the Big Blue. An invitation to daydreaming where visiting a garden means fleeing to a calm place, convenient for relaxing and enchantment. This theme will also point out climate and water management concerns in the Mediterranean region. Throughout the month of April 2019, the Festival will include a landscaping contest open to professionals, out-of-competition “pop-up” ephemeral gardens made by various municipalities and events all over the “département”. Closed since October 4, 2018, 4:00 pm, the landscaping contest is intended for professionals: landscapers, landscape architects, landscaping companies, landscape gardeners and also architects, designers, artists, scenographers, decorators, designers ... provided that they are backed by a landscape company for the realisation of the garden. The creations made by international teams will be spread among 5 municipalities within the “département”: Antibes / Juan-Les-Pins, Cannes, Grasse, Menton and Nice. On each municipality will be realised three - 200 m ² landscaping creations, for a total of 15 creations on all the “département”. Thus, the setting up of 3 landscape gardens on the same site will be an attractive showcase for the public. The contest will be greeted by 3 juries and 4 prizes will be awarded: The Jury award, the Professional award, the Press award and the Green Deal award for the most ecological garden. Various municipalities of the “département des Alpes-Maritimes”, entering or not the contest, will give free access to an out of competition, “pop-up” ephemeral garden, related to the theme of the Festival. 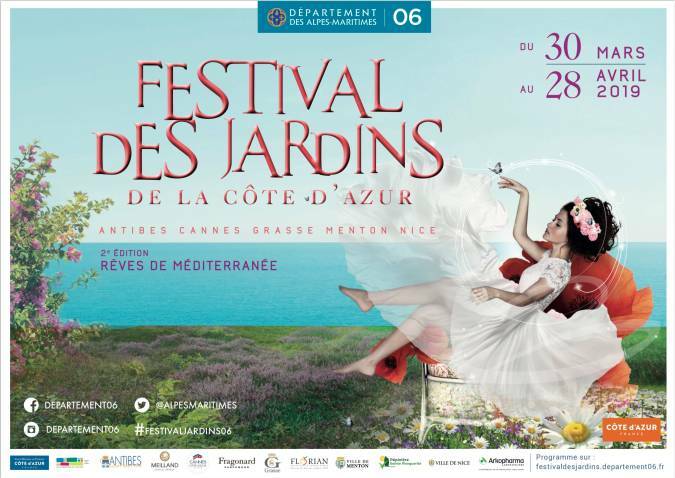 The Côte d'Azur is the chosen land for flowers, scents and the art of gardens along with 13 magnificent gardens under the "Jardin Remarquable" label, to be open to the public during the Festival. 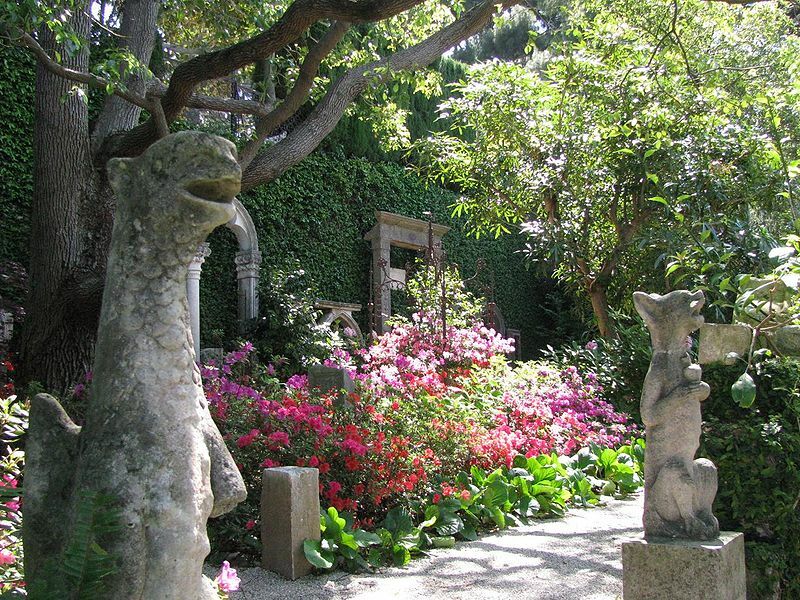 Specific visits to private gardens and guided tours to discover our cultural and historical heritage. These events will be displayed on the website and on the Festival brochure in March 2019. In 2019, Marina Picasso will be the godmother of the Côte d'Azur Garden Festival and will have the honour, with the jury, to elect the winner of this second edition. Granddaughter of the painter Pablo Picasso, she shares her grandfather's works all over the world for exhibitions and events dedicated to him. 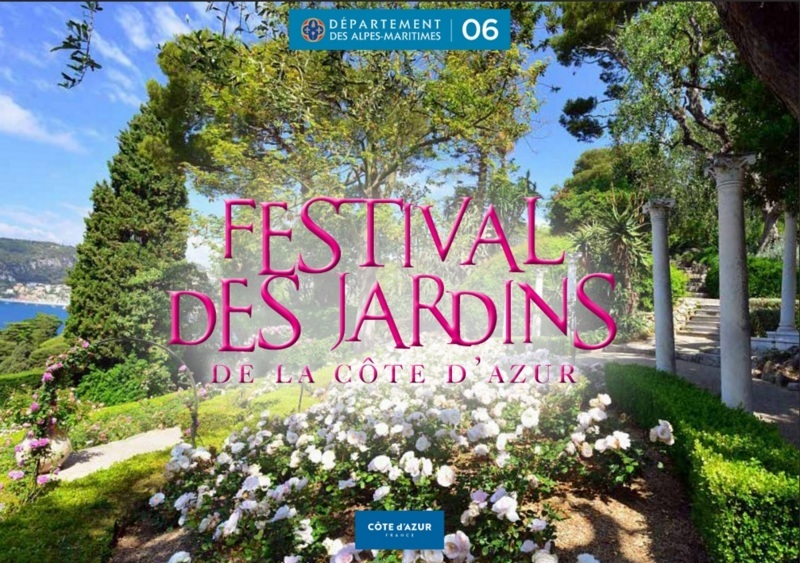 The "Département des Alpes-Maritimes" developed a tourist map of the Gardens and Parks of the Côte d'Azur listing 72 gardens open to the public. It is available in the tourist offices of the department as well as in some public places.